Prime Minister Narendra Modi on Friday announced a Rs 4,500-crore financial assistance to Bhutan to help the country implement its 12th five-year plan after he held wide-ranging talks with his Bhutanese counterpart Lotay Tshering. In his media statement, Modi said he has assured the Bhutanese prime minister that India, as a "trusted friend", will continue to play an important role in Bhutan's overall development. The prime minister also thanked the Bhutanese leader for deciding to introduce in Bhutan the Indian RuPay card which is a debit and credit card payment network. On his part, Tshering said the main mission of his visit here was to take Indo-Bhutan ties to greater heights, adding Prime Minister Modi has given him assurance of helping Bhutanese traders hit by the implementation of GST in India. "We are very very happy that Prime Minister Modi Ji has personally committed to being with us, to support us...Government of India has extended full support for our XII Five Year Plan and also to our traders who are being affected by the GST that has come into action in India," the Bhutan PM said. In the talks, the two sides focused on further ramping up the already close bilateral relationship, particularly in the areas of hydropower and trade. The two sides are understood to have also deliberated on security cooperation. Bhutan is a strategically important neighbour for India and both the countries have robust military cooperation which was reflected during Doklam face-off. "India will contribute Rs 4,500 crore in Bhutan's 12th five-year plan," Modi said. The new five-year plan of Bhutan began this year and will continue till 2022. Identifying hydropower cooperation with Bhutan as a crucial aspect in the bilateral ties, Modi said work on the Mangdechhu project will soon be completed. Mangdechhu is a 720-MW hydroelectric project (HEP) on the Mangdechhu River in central Bhutan, which is being implemented by India. "Today, we discussed this crucial sector and reviewed cooperation on all the major projects. Work on the Mangdechhu project will be completed soon. We have agreed on the tariff for this project. Work on other projects has been happening at a very satisfactory pace," he said. Tshering said hydropower has been the main source of revenue for Bhutan. "We are very very happy that the Government of India is fully committed to supporting whatever negotiations that are going on for determining tariff for power from Mangdechhu project as well as to make Sankosh (hydropower) project happen as soon as possible," Tshering said. The Bhutanese prime minister arrived here on Thursday on his first foreign visit after taking charge as PM of the Himalayan nation last month following his party's victory in the general elections. Modi said space is another area where the cooperation between the two neighbours is growing. 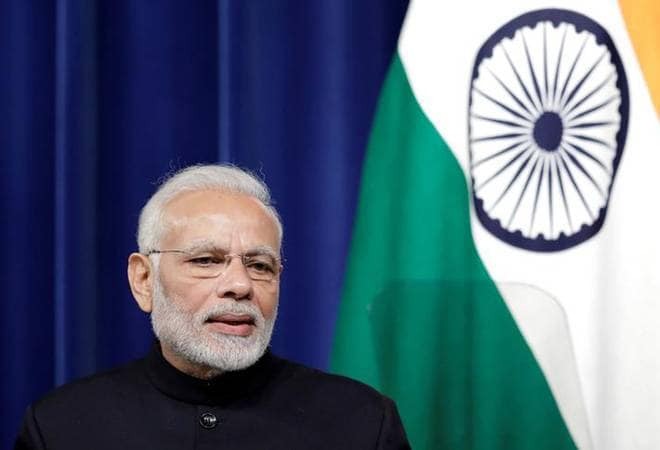 Under the South Asian satellite launched by India for its neighbours, of which Bhutan is one of the beneficiaries, the ground station is being prepared by the Indian Space Research Organisation (ISRO), Modi said. This, he added, will assist in giving messages related to weather in far-flung areas of Bhutan, facilitate tele-medicines and help in disaster relief. Tshering noted that Prime Minister Modi was the "first and the only head of the government" who personally called and congratulated him on his electoral victory. He also thanked India for its continued support to his country's developmental needs. Earlier in the day, Tshering was accorded a ceremonial welcome at the Rashtrapati Bhavan. External Affairs Minister Sushma Swaraj also called on the Bhutanese premier this morning. Swaraj congratulated Tshering on the assumption of the high office of Bhutan's prime minister and the two leaders had a "warm exchange of views" on important aspects of the bilateral relationship, Ministry of External Affairs Spokesperson Ravesh Kumar said.